There are special populations that are more at risk than others for developing acute or chronic wounds. The most common wound in this category is a pressure sore, which is damage to the integrity of the skin and underlying tissue caused by pressure on the area that occurs for extended periods of time. The mechanism for developing a pressure wound can be sitting or lying in the same position for long periods of time, which causes pressure on a certain area of the body. This pressure reduces blood flow to the area and, subsequently, reduced oxygen and nutrients to the tissue. Without oxygen and nutrients, the tissue loses its integrity and can start to deteriorate. This results in a pressure sore or "bedsore". Bariatric Patients: Obesity affects 34 percent of the adult population in the U.S., and one in three children or teens is considered overweight or obese. The bariatric or obese population is at a higher risk for developing a wound due to the excess weight and related pressure that is placed on their pressure points. Adipose tissue or fat has less vasculature so does not receive the oxygen and nutrients it needs to be protected from damage, or to heal from a wound. Skin folds create the idea environment for a sore to develop and can easily become infected, especially when coupled with the excessive sweating that many obese patients experience. Problems can be avoided by keeping skin folds clean and dry, or placing a dry dressing between the areas to absorb sweat. Immobility and difficulty changing positions can add pressure to areas like the base of the spine or coccyx. An obese patient tends to sit for a majority of the time. Frequent position changes are critical to maintaining skin integrity, but caution must be taken to avoid causing friction wounds when repositioning a bariatric patient. Intensive Care (ICU) Patients: ICU patients are among the most critically ill. They are often unresponsive and breathing with the assistance of a ventilator, which renders them totally dependent upon caregivers to maintain their skin integrity. While their critical care health issues demand the greatest concern and attention, pressure wounds can sometimes develop as a secondary health issue. These patients not only develop pressure sores from lying in the same position for long periods of time, but also from being moved and repositioned by caregivers. Repositioning can inadvertently cause friction or shearing wounds. Using a slide board or other transfer device can help avoid some of this damage. Patients with Spinal Cord Injuries: According to the National Spinal Cord Injury Association, 450,000 people in the U.S. suffer from a spinal cord injury (SCI). Patients who have sustained an SCI are often confined to a wheelchair or bed. They experience decreased sensation as a result of their injury or medical condition. Impaired sensation can lead to the development of pressure sores because the patient is unaware of any problem. More than 50 percent of SCI patients develop a pressure sore at some point in their medical history. HIV and AIDS patients are immuno-suppressed, meaning that their natural immune systems do not sufficiently protect them from infection. If a patient with HIV or AIDS sustains a wound, the healing can be impaired and they are at a higher risk for an infection to develop. Neonatal and Pediatric Patients: Babies born at less than 27 weeks gestation have underdeveloped skin. The tissue-thin skin has not yet developed sufficient integrity and is easily damaged. A simple strip of adhesive tape can tear the top layer of skin away. Skin preparations used to clean the skin before a procedure can burn the baby's tender skin, as can thermal lights used for their care. These neonates are often sedated or unable to move on their own so are subject to pressure sores on their tender bodies. Coupled with low blood pressure, which constricts the blood flow through the body, broken skin can become a source of infection and concern. The general pediatric patient group is subject to developing wounds for a variety of reasons: prematurity, as in the neonatal patient, debilitating illness, dietary deficiencies and pressure sores. Geriatric Patients: By 2030, 19 percent of the U.S. population will be over 65 years of age. According to the National Institutes of Health (NIH), wounds suffered by this population take four times longer to heal than those of the younger population. During the aging process, the outer layer of skin thins out and the underlying blood vessels become more fragile, which leads to easier bruising and bleeding. The protective fat layer under the skin also thins and reduces the cushion of padding that normally helps prevent injuries and wounds from developing. Decreased mobility increases the risk for developing pressure wounds. 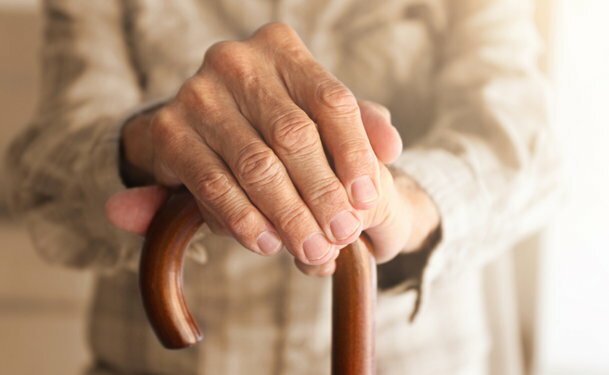 Coupled with chronic underlying conditions like diabetes and peripheral artery disease, the geriatric population is at higher risk for developing wounds. Frequent and complete skin assessment, scrupulous skin care, frequent repositioning and good nutrition are key elements to preserving a patient's skin integrity. These special populations require vigilance in their skin assessment and care to prevent and treat developing and existing wounds.